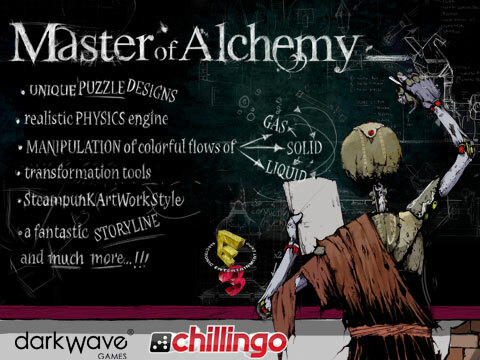 Master of Alchemy is on the App Store! After six months of hard development we’re so happy to announce that Master of Alchemy has been finally published in the iTunes App Store last Friday! I’m sorry to spam again with this topic, but trust me, it has been a bet for all of us! And actually it’s included into the “New and Noteworthy” section! Games Uncovered review: …without a doubt one of the best iPad games yet. Simply a fantastic puzzle game that is challenging, deep and graphically stunning. An absolute treasure. Try our first IPhone game for free! It’s a simple but addictive game which will stress your multi-task brain abilities! – brain’s short circuits possible!! Can you split your brain in half and play in two different way at once? Use accelerometers to move the grey ball while using your finger to hit the buttons!Improve your concentration and memory with these simple but addictive game. Share your score with your OpenFeint friends and find out if you are a real bicephalous!!! If you’re an iPhone developer probably you have been involved in the messy App Store publishing process. More or less I’m completely agree with the author, especially about the app store policies, because I tested in first person. There would be dozen of other topics I can found about it, but the app store is the perfect example. But yesterday I discovered this post: “Apple is not evil. iPhone developers are stupid“. After reading that post I realized that developers are stupid because they pretend to publish their applications on the App Store! Wow, I never thought about this! When I signed the iphone sdk I didn’t read anywhere that I should publish my applications on the web because the app store is a mess! I don’t question the fact that many applications could be published on the web, but that’s is another thing. The point is: I have the choice and I want to choose. So the conclusion is that we are stupid because we don’t understand how much Apple is evil and we don’t publish applications on the web instead of trying to publish them on the App Store! The assumption is that I have an application that could be either published on the app store as standalone application and on the web, and is my mistake if I want to publish on the app store. So why apple simply doesn’t close the App Store for us poor developers and keeps it only for the big companies which pay in order to be in the front page? I didn’t have the chance yet to try out Flash CS5, but I’m still a bit concerned about the new feature that makes users able to compile their own application into valid iPhone apps. Things look really good if you look at the examples and if you talk with the people that already had the chance to try this feature out. But I must remember that usually the excitement for a new – and let’s say outstanding – feature usually cannot guarantee the final result to be acceptable. I fear that this feature might evolve the same – bad – way as Alchemy did: they started with a promising project that then felt down to a side project because many users shown that it was possible to achieve the same or better results by just using plain AS. 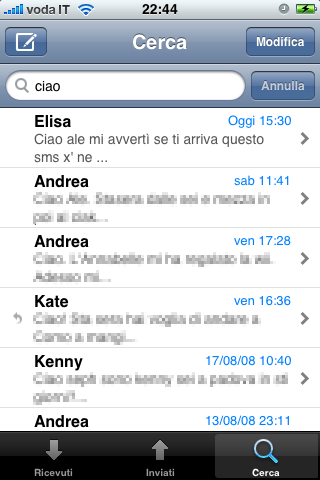 A few weeks ago I started spending my free time on experimenting with generating a valid iPhone app from a SWF file. I didn’t know anything about the fact that the Adobe would have put the same feature in Flash CS5. My approach wasn’t too sophisticated: basically, as long as I didn’t have so much time to spend on writing a full binary converter, I was parsing the SWF and then generating static Objective-C/C++ (well mostly C++ and I’ve used Objective-C as glue where strictly required) code that then was compiled by Xcode to a working iPhone application. iPhone developers must take special care for memory and resource management; probably having a huge bootstrapping code and transition structures won’t help. What I fear most actually is that they’ll be able sooner or later to solve all the issues and create a good product, but probably that product won’t be suitable for complex applications, that will be always developed directly using XCode. That said, I think that probably a better approach would have been to figure out a way for Adobe to include the Flash Player on the iPhone. It’s already ready and I really can’t understand why they don’t release it (it must be Apple, and probably because having a Virtual Machine on the system will break the basis the App Store has been built over). Having the FPL on the iPhone will still limit us, but it will open up a brighter future for AS developers who want to release apps that runs on the iPhone too (Did you ever heard about compile once, run everywhere?). Well, it’s not true at all, but it’s something like that ( they enabled this by using the Low Level Virtual Machine (LLVM) compiler infrastructure). With the upcoming Flash CS5 we will able to create iPhone applications using Actionscript 3 and the Flash IDE (Flash CS5)! It also seems that in the future it will be possible to compile iPhone apps using the free flash compiler. iPhone applications built with Flash Platform tools are compiled into standard, native iPhone executable packages and there is no runtime interpreter that could be used to run Flash byte-code within the application. Most of the Flash Player 10 and AIR 2.0 APIs will be available, so for instance: pixel Bender filters and also dynamically loading SWFs that contain ActionScript (but the Actionscript will be ignored since there’s no flash VM in the iphone). We won’t be able to test our apps using the Mac iPhone simulator. And we cannot use the iPhone controls with actionscript. During my last trip to New York city I finally decided to buy an iPhone for me too (I think I have everything from Apple right now.. except a mac 🙂 ). Ok, there are some ways indeed to copy music like this: http://help.ubuntu.com/community/PortableDevices/iPhone, but as you can see is not so smart. Another tip I just discovered is how to upload into the iPhone my own Ringtones. 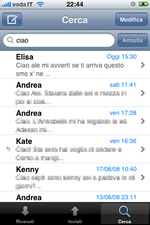 mplayer -ao pcm input_file.mp3 -ao pcm:file="~temp.wav"
~/iphone/Ringtones$ mplayer -ao pcm The_Spell.mp3 -ao pcm:file="~temp.wav"